We’re barely a year into President Donald Trump’s first term, and already the president has his sights set on reelection. The president has often claimed that he will serve a second term, even declaring himself “unbeatable” in 2020. And today, February 27th, Trump continued preparing for the next presidential race, announcing that he selected Brad Parscale to manage his 2020 campaign. It was an unusually early decision that left many wondering: Who exactly is Parscale? 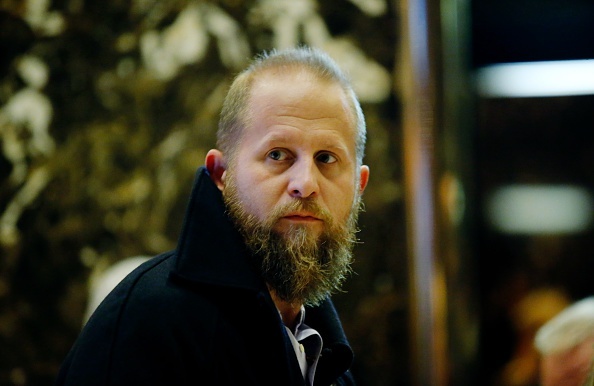 Parscale served as the digital director of Trump’s 2016 campaign, although he had no prior political experience. Parscale’s largest contribution to Trump’s eventual victory was his spending on social media and digital content. He even brought in Facebook employees to help the campaign. Parscale said in a 2017 60 Minutes interview that he had spent most of his $94 million advertising budget on Facebook ads alone, despite then-candidate Trump’s preference for TV ads. The Trump Organization first hired Parscale in 2011, and in 2015, he was asked to help create a campaign website for Trump. "Brad is an amazing talent and was pivotal to our success in 2016," Eric Trump said in a press release on Trump's campaign website. "He has our family's complete trust and is the perfect person to be at the helm of the campaign." Trump’s 2016 campaign, including Parscale’s involvement in it, is currently under investigation. On February 16th, special counsel Robert Mueller indicted 13 Russian hackers for creating fake social media posts in order to influence the election, and during his indictment, Mueller stated that certain members of the Trump campaign had been “unwitting” participants in the Russian meddling. As part of the Russia investigation, Parscale testified in front of the House Intelligence Committee in October 2017. And during his testimony, Parscale insisted that he was “unaware of any Russian involvement in the digital and data operations” of the campaign. During the 2016 campaign, Trump hired three different campaign managers. And since 2020 is still a couple years away, it’s hard to say for sure what will happen with Parscale in the meantime. If his time as digital director is any indicator, though, Parscale will probably invest heavily in digital ads as Trump’s campaign director. As the 2020 presidential race draws nearer, we’ll be watching to see who faces Trump and what Parscale’s campaign strategy will be.